Growing up on the streets of Harlem, New York, Carl Lucas knew a thing or two about hustle. He hung out with the wrong crowd and spent most of his teen in juvenile homes. Even though he was hoping to become a racketeer someday, his goal changed as he grew up. 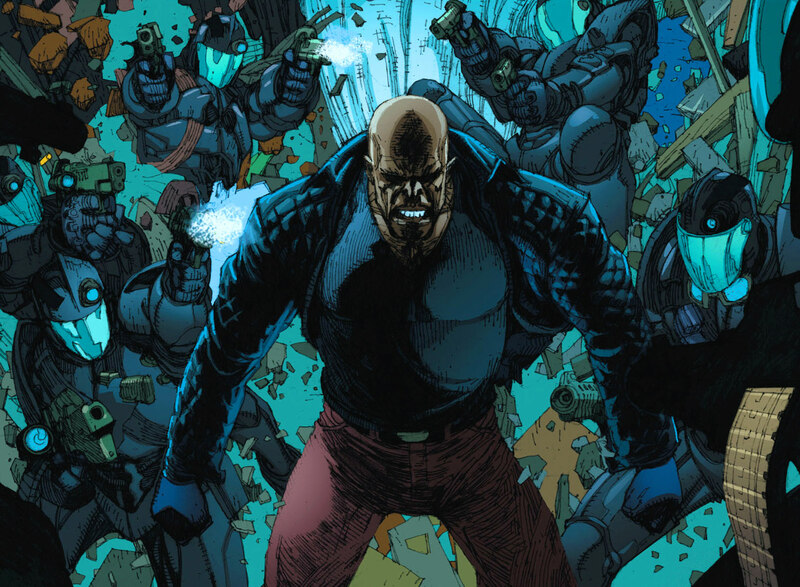 Due to mix-up by Willis Stryker, The Syndicate and Cornell Cottonmouth, Lucas ended up in jail but he made a reputation there, causing him to be transferred to Seagate Prison. He volunteered for Dr. Noah Burstein project to re-create Captain America’s Super-Soldier formula. The experiment goes wrong because of the sabotage by a prison guard named Albert Rackham, who was also racist towards Lucas. However, the failed experiment has given him super-strength and unbreakable skin. 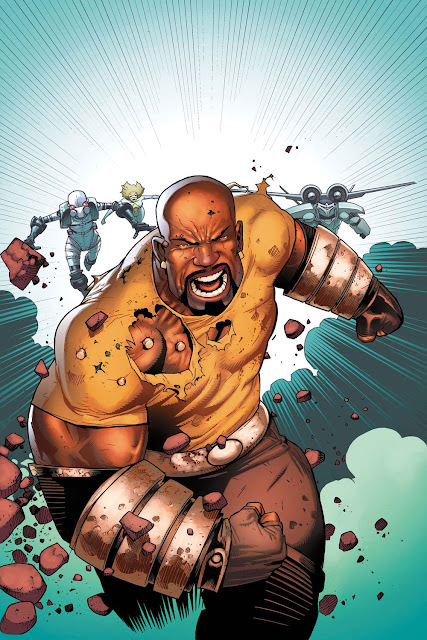 Going back to New York, he took the alias of Luke Cage AKA Power Man, later joined by Danny Rand aka Iron Fist. Together they formed Heroes for Hire, fighting baddies like Wrecking Crew and Sabretooth, occasionally teaming up with other street-wise heroes like Misty Knight, Spider-Man, Daredevil, Moon Knight and Ghost Rider. Cage became a part of Defenders alongside Doctor Strange, Hulk and others. He had a troubled relationship with Dr. Claire Temple, briefly dated She-Hulk and then finally knot the ties with Jessica Jones. 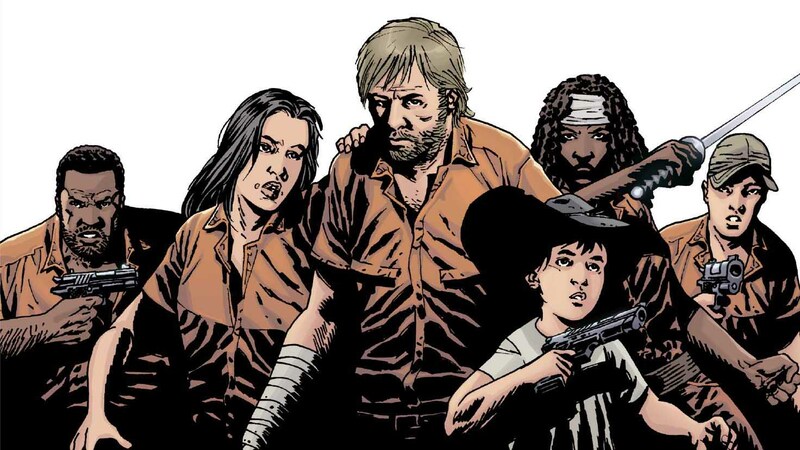 Luke participated in Nick Fury’s Secret War, antagonized Purple Man, joined New Avengers during “The Breakout” following Civil War, beaten up Doctor Doom once, teamed up with Norman Osborn to retrieve his child during Dark Reign. For more information on Luke Cage comics series, you can check out these links below. 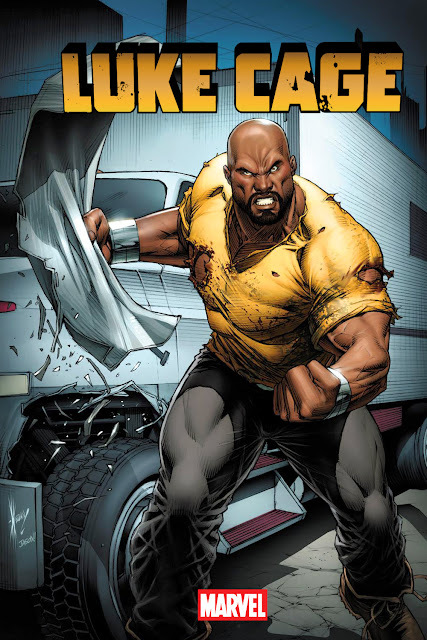 Here is your links to buy "Luke Cage" comics from Marvel Comics on Amazon. A superhero of his own right created by Archie Goodwin (Iron Man, Star Wars), John Romita, Sr. and George Tuska, Luke Cage is a fictional superhero that belongs to Marvel Comics. Often sporting a yellow disco shirt outfit, he debuted on the first issue of Luke Cage, Hero For Hire in 1972 and grew up to be one of the most popular Black-American superhero. 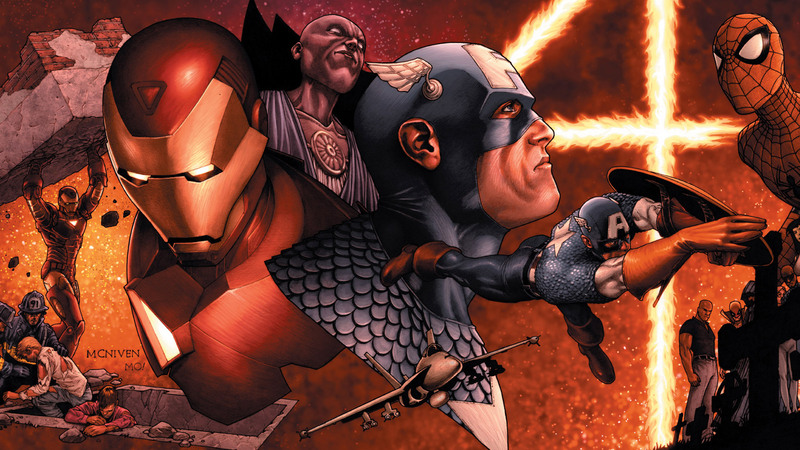 Aside from his glorious days in Heroes for Hire, Luke served in many superhero teams throughout his crime-fighting career like The Avengers, Fantastic Four, Thunderbolts, Marvel Knights, Secret Avengers and Mighty Avengers. Luke Cage was active during events like Secret Wars II, Secret Invasion, Siege, Heroic Age, Shadowland, Avengers Vs. X-Men and Age of Ultron. The hero is portrayed by actor Mike Colter in the web television series Marvel's Jessica Jones (2015), Marvel's Luke Cage (2016) and Marvel's The Defenders (2017) developed for Netflix.